Numerous factors combined to bring about the major Union victory that was Shiloh. Timing, numbers, and leadership all combined to sway the action in definite ways, but perhaps the most dominant and least understood reason for the reversal of Confederate fortunes was the terrain on which the Battle of Shiloh took place. Understanding of the battle must be based firmly on an understanding of the field on which it was fought. Come join us on Tuesday, Aug. 14, as Dr. Timothy B. Smith, basing his talk on his award-winning book Shiloh: Conquer or Perish, will walk us through a detailed examination of the terrain factor at Shiloh. He will explain how the ground, often described negatively as a trap for the Union forces, was set up perfectly for Union victory and Confederate defeat. shaped and how it funneled in certain directions, leading to a major advantage for the Federal forces. Albert Sidney Johnston famously proclaimed that he must conquer or perish that day. After seeming to do the former, he and many Confederate soldiers under him did the latter at Shiloh in large part due to the terrain on which the battle was fought. Timothy B. Smith, who holds a Ph.D. from Mississippi State University, is a veteran of the National Park Service and currently teaches history at the University of Tennessee at Martin. 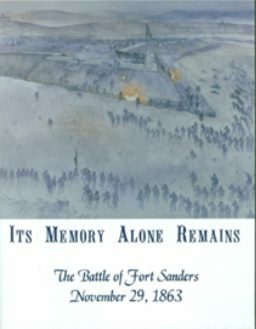 Grant Invades Tennessee: The 1862 Battles for Forts Henry and Donelson (2016), which won the Tennessee History Book Award, the Emerging Civil War Book Award, the Albert Castel Award, and the Douglas Southall Freeman Award. His book on Grierson’s Raid, The Real Horse Soldiers, comes out in September, and he is currently writing a book on the May 19 th and 22 nd Union assaults on the Confederate lines at Vicksburg that preceded the siege and surrender of the city. Tim lives with his wife Kelly and children Mary Kate and Leah Grace in Adamsville, Tennessee. Anyone who has studied the Civil War for any length of time has an opinion about when the fortunes of war shifted, and the fate of the Southern Confederacy was indelibly sealed. Some argue that the battle of Antietam and the subsequent issuing of the Emancipation Proclamation was the beginning of the end. Others who favor the “Great Man” theory of history suggest that Chancellorsville and the loss of Jackson tipped the scales inexorably in favor of the Union. Gettysburg apologists point to the Copse of Trees and the “Highwater Mark” monument there, arguing that Southern hopes and dreams never recovered after July 3rd, 1863. No, say the Western Theater proponents; the Confederacy’s downward slide began a day later than that, on the fourth of July to be exact, when Pemberton surrendered to Grant at Vicksburg and the Mississippi once again flowed “unvexed to the sea”. Come join us on April 10 as renowned historian Bud Robertson enters the fray to share his thoughts on when the turning point of the Civil War occurred. This is one you’re not going to want to miss! One of the most distinguished names in Civil War history, Dr. James I “Bud” Robertson served as Executive Director of the U.S. Civil War Centennial Commission in the 1960s and worked with Presidents Kennedy and Johnson in commemorating the war’s 100th anniversary. He then taught 44 years at Virginia Tech, where his upper division course on the Civil War era attracted 300 or more students per semester and made it the largest class of its kind in the nation. At his retirement in 2011, the University named him Alumni Distinguished Professor Emeritus of History. Dr. Robertson holds a Ph.D. degree from Emory University and honorary doctorates from Randolph-Macon College and Shenandoah University. He was a charter member (by Senate appointment) of Virginia’s Civil War Sesquicentennial Commission and was actively engaged in the state’s sesquicentennial observances. The Danville, Virginia native is the author or editor of more than 25 books including biographies of Gens. Robert E. Lee and A. P. Hill, several works on the common soldiers, and three studies written for young readers. His massive biography of Gen. “Stonewall” Jackson won eight national awards and was used as the basis for the characterization of Jackson in the Ted Turner/Warner Bros. mega-movie, “Gods and Generals,” a film for which he served as chief historical consultant. More recently, Dr. Robertson’s popular book, The Untold Civil War was published by the National Geographic Society in 2011 followed by The Diary of a Southern Refugee in 2013. After the Civil War: The Heroes, Villains, Soldiers, and Civilians Who Changed America is his latest book. Published by the National Geographic Society, it was released in 2015. His newly completed book on Robert E. Lee will be released later this year. The recipient of every major award given in Civil War history, and a lecturer of national acclaim, Dr. Robertson is probably more in demand as a speaker than anyone else in the field of Civil War studies. Cold Harbor. The very name conjures up feelings of foreboding and dread. More than a century and a half has elapsed since the Army of the Potomac crossed the James River and Baldy Smith’s 18th Corps pressed toward Petersburg aiming to sever the Army of Northern Virginia’s main supply line. The six weeks of combat preceding the movement on Petersburg represents the most intense continuous bout of warfare the continent has ever witnessed. Each side’s premier general – Ulysses S. Grant and Robert E. Lee – matched wits and endurance in a campaign of combat and maneuver from the Rapidan River to the James. Packed into those six horrific weeks were the battles of the Wilderness, Spotsylvania Court House, the North Anna River, and Cold Harbor. Come join us as historian and author Gordon Rhea presents an appraisal of Grant’s and Lee’s generalship during the Overland Campaign. The focus will be on the campaign’s final days at Cold Harbor and Grant’s decision to pry Lee from his formidable earthworks by slicing the Army of Northern Virginia’s main supply line at Petersburg. The story is one of the most exciting in the annals of American military history, and who better to tell it than Gordon Rhea who has written the definitive history on the subject. WELCOME BACK TO KNOXVILLE, GORDON RHEA! Gordon C. Rhea received his B.A. in history from Indiana University, his M.A. in history from Harvard University, and his law degree from Stanford University Law School. He served as Special Assistant to the Chief Counsel of the Senate Select Committee on Intelligence Activities for two years and as an Assistant United States Attorney in Washington D.C. and the United States Virgin Islands for some seven years. 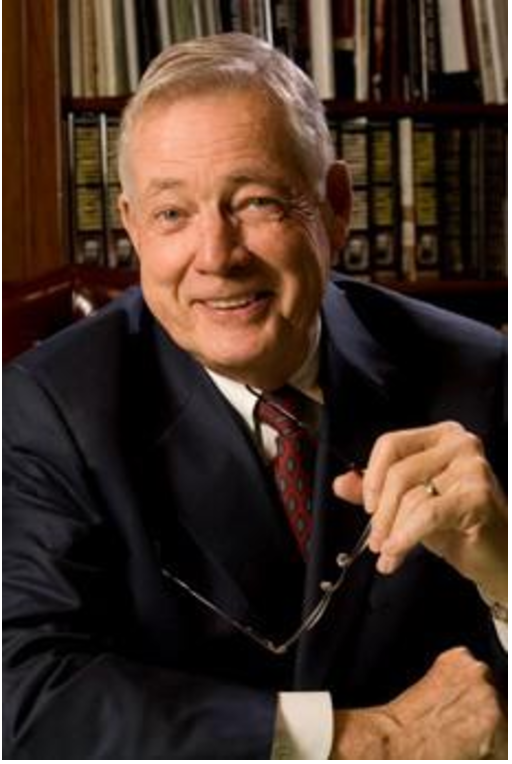 He has been in the private practice of law since 1983. 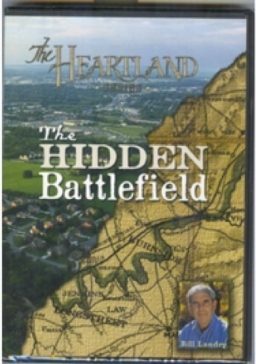 Mr. Rhea has written seven award-winning books about the American Civil War, including The Battle of the Wilderness, The Battles at Spotsylvania Court House and the Road to Yellow Tavern, To the North Anna River, Cold Harbor, On To Petersburg, Carrying the Flag, and In the Footsteps of Grant and Lee. He has lectured across the country at the invitation of numerous historical societies, universities, and historic preservation organizations on topics of military history and the Civil War era and has served on the boards of historical societies, history magazines, and historical preservation organizations, including the Civil War Library and Museum, Philadelphia, the North and South magazine, and the Charleston South Carolina Civil War Sesquicentennial Commission. Mr. Rhea conducts fundraising tours for organizations that raise funds to purchase and preserve historical sites related to the Civil War era, including the Civil War Trust, the Central Virginia Battlefield Trust, the Blue and Gray Education Society, and the Friends of the Wilderness Battlefield. He has also appeared multiple times as a historian and presenter on nationwide television programs, including productions by The History Channel, A&E Channel, Discovery Channel, and C-Span. The Civil War may have been a distinctly American affair, but the guns that rocked America shook the world. In England and on the continent, the war touched close to home as vested interests clashed, bonds of friendship frayed, and business ties were torn asunder. What Jefferson Davis’s foreign policies meant for Southern independence and ties to Europe, and, conversely, what Lincoln’s policies meant in preventing Southern independence and keeping Europeans at bay is one of the least understood and potentially most consequential aspects of the war. Because the navies were the primary instruments for projecting power in the nineteenth century, international conflict often played out on the high seas. Come join us Tuesday, Feb. 13 as naval historian Kent Wright addresses the British “X” factor in the war. Backed by 30 years of research, Kent will discuss how British interests were tied to the war from start to finish and how these interests affected major policy decisions and the handling of one crisis after another on both sides of the Atlantic. Nebraskan turned Alabamian Kent Wright is a veteran of the nuclear navy and a graduate of Iowa State University with a degree in Mechanical Engineering. In civilian life, he was a nuclear plant startup engineer and senior reactor operations training specialist for the General Electric Company and the Tennessee Valley Authority. He and his wife Elizabeth, from Vicksburg, MS, are now living in Huntsville, Alabama, where they moved in 1986. During his five years in Vicksburg, he reignited his lifelong interest in Civil War history while merging it with his knowledge of steam plant engineering and propulsion. While there, he made many visits to the raised Union gunboat, USS Cairo, which started his course of learning on Civil War naval history. 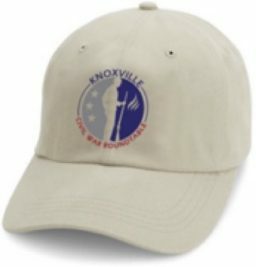 After moving to Huntsville in 1993, Kent joined the Tennessee Valley Civil War Round Table (TVCWRT) and became an active member as the program chairman. Throughout the years, he has published articles and given talks to Civil War Round Tables and various other interest groups concerning the role of the US and CS Navies in the Civil War. He is currently working on two manuscripts which he hopes to get published. Greg Biggs has studied military history from the Spartans to modern wars for over 50 years with concentrations on the Napoleonic Era, the Civil War and World War II. 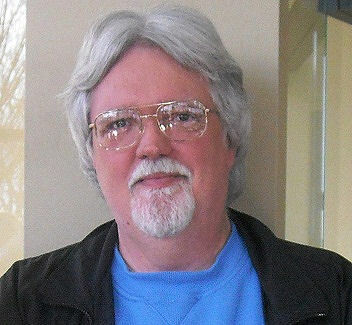 An expert on the military flags of the 18th and 19th centuries, Greg has consulted with museums, collectors and auction houses on Civil War flags and has written several articles on the topic in SCV publications, North-South Trader and Civil War News, Battle of Franklin Trust Magazine and others. Greg is also a text editor and author for the scholarly Flags of the Confederacy web site (www.confederate-flags.org). He has done research for several Civil War authors and has written articles for Civil War Regiments journal, Blue &amp; Gray Magazine, Civil War News, Citizens Companion, Hallowed Ground and some online publications. It is easy when studying Civil War history to forget that an army existed, and functioned, solely because of horses and mules. They were not merely the property and province of officers and cavalrymen. Every wagon, every ambulance, every artillery piece was immobile and, for all intents and purposes, useless in the absence of horsepower. While the human cost of the war was horrendous, far more of the silent servants died than did humans. Yet one scarcely gives their sacrifices a passing thought. What they did–and gave–will be the first half of Bud Robertson’s talk. He will then “switch horses” and focus on regimental mascots, who were so invaluable in boosting troop morale, providing companionship, and promoting love to soldiers on both sides in the chilling atmosphere of war. James I. Robertson Jr., one of the country’s most distinguished Civil War historians, is the author or editor of more than 25 books including biographies of Gens. Robert E. Lee and A. P. Hill, several works on the common soldiers, and three studies written for young readers. His massive biography of Gen. “Stonewall” Jackson won eight national awards and was used as the basis for the characterization of Jackson in the Ted Turner/Warner Bros. mega-movie, “Gods and Generals”, a film for which Dr. Robertson served as chief historical consultant. For the sesquicentennial, The National Geographic Society published in 2011 his book The Untold Civil War based on stories and vignettes from his popular and long-running weekly series on National Public Radio. His latest book, After the Civil War: The Heroes, Villains, Soldiers, and Civilians Who Changed America was published in October of 2015. Dr. Robertson served as Executive Director of the U.S. Civil War Centennial Commission in the 1960s and worked with Presidents Kennedy and Johnson in commemorating the war’s 100th anniversary. He then taught 44 years at Virginia Tech, where his upper division course on the Civil War era attracted 300 or more students per semester and made it the largest class of its kind in the nation. At his retirement in 2011, the University named him Alumni Distinguished Professor Emeritus of History. The Danville, Virginia native holds a Ph.D. degree from Emory University and honorary doctorates from Randolph-Macon College and Shenandoah University. A man of many talents, he is the lyricist of the Old Dominion’s newly adopted traditional state song, “Our Great Virginia” which the governor recently signed into law.